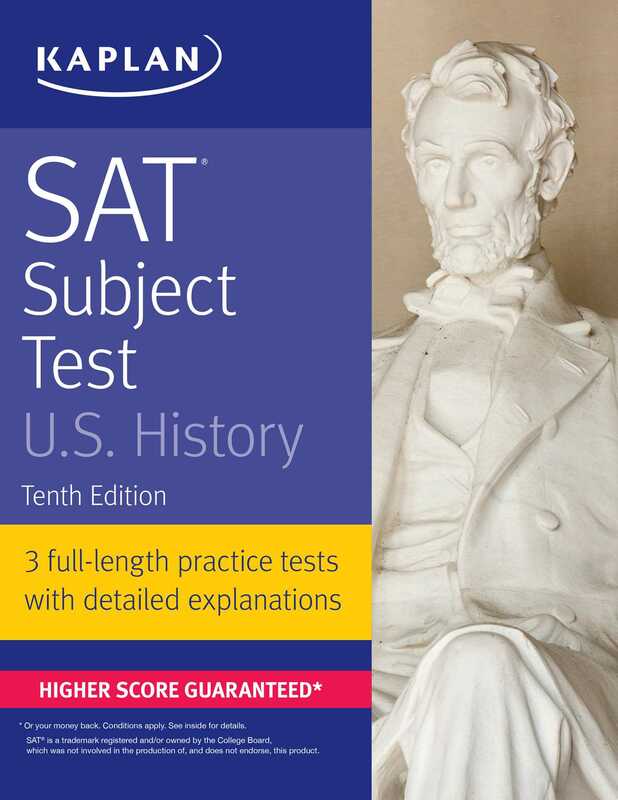 Kaplan's SAT Subject Test U.S. History is the most up-to-date guide on the market with the essential content, practice, and strategies students need for success on Test Day. Kaplan's expert tips and focused review will help you ace the test and give your college applications a boost. Kaplan is so certain that SAT Subject Test U.S. History offers all the knowledge you need to pass the exam that we guarantee it: After studying with the book, you'll score higher on your test—or you'll get your money back.